Occasionally, it’s good to get away from all the trappings of pop and modern music to indulge yourself in some good old classical tunes. Luckily, there’s not a shortage of talented musicians and instrumentalist willing to take on the work of the masters. 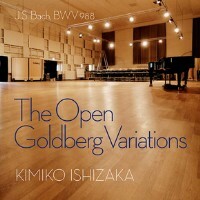 Kimiko Ishizaka is breathing a new life to some of Bach’s greatest work in this great instrumental compilation. The Goldberg Variations is a Kickstarter funded work, which aims to record and recapture the Bach’s famous 1741 composition. The album is produced by Anne-Marie Sylvestre and licensed under a Creative Commons License. Born to a family of musicians, Kimiko Ishizaka began playing the piano at four years old. She was under the tutelage of her mother until 1995 and became a student of “Professor Roswitha Gediga-Glombitza at the Hochschule für Musik Köln.” She was also a part of the Ishikawa Trio, performing alongside her two younger siblings in various countries and classical festivals. The Open Goldberg Variations is a great compilation for anybody who has a vested interest in classical music. Perhaps the best part about this piece is that it’s offered absolutely free. The proponents of the project thought that music this relevant to the classical world shouldn’t be burdened with fees so instead the group decided to license it as open source. Indeed the album not only showcases the awesome work of Bach at one of his peaks but it also beautifully conveys Ishikawa’s talent. The record is poignant and glorious on its own, delivering something that would otherwise be lost in a world full of pop music and auto-tune. It’s definitely a classical piece that deserves to be on your playlist. Take a listen, grab the download and make sure to spread the word. Volumina: This is Our Home, Please Come In!